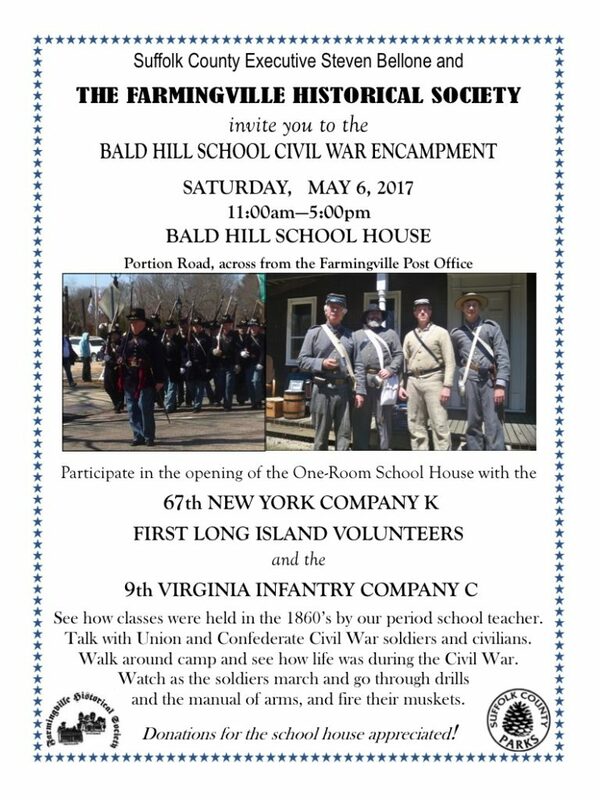 Join us for an Open meeting of the Farmingville Historical Society. We are also hosting speaker Chris Schnupp, the author of Long Island Company. December 11, 2016, 1-3:30PM – Holiday Schoolhouse Open House! Before the tree lighting and festivities and Farmingville FireHouse, stop by the schoolhouse for some free hot cider and treats for the kids! 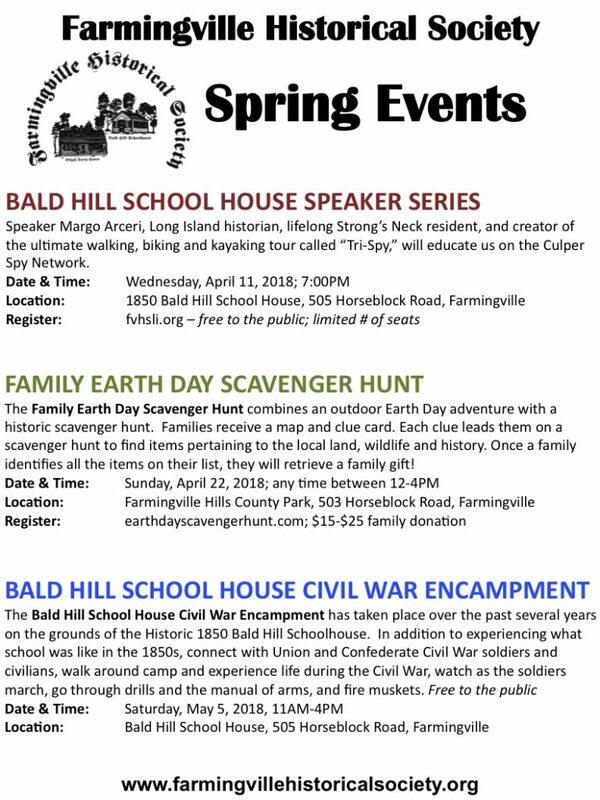 Journey back over 150 years with the Farmingville Historical Society and explore the history of Farmingville and the Bald Hills region. 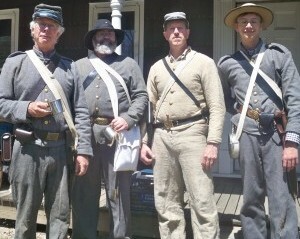 Learn about the Historic Bald Hills Schoolhouse which is now open for educational field trips. View historic community photos while learning about the legendary Granny who lived on Granny Road, the origin of Bicycle Path, and the once active Bald Hill ski slopes. 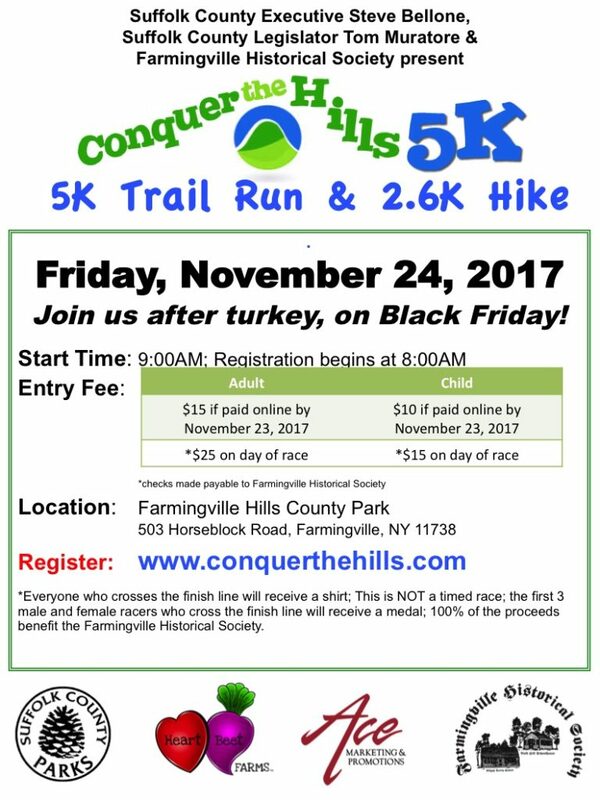 Transition to the current year and learn about the Farmingville community vision planning, community initiatives led by the Farmingville Residents Association, and the 2016 plans for expansion and improvement of the Historic Schoolhouse and grounds. 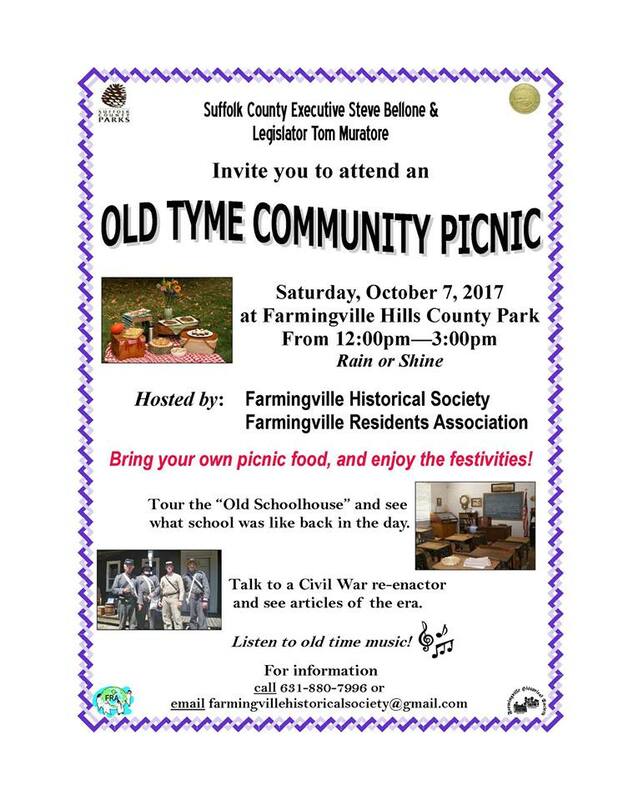 Bring your local Farmingville stories and pictures from the past.